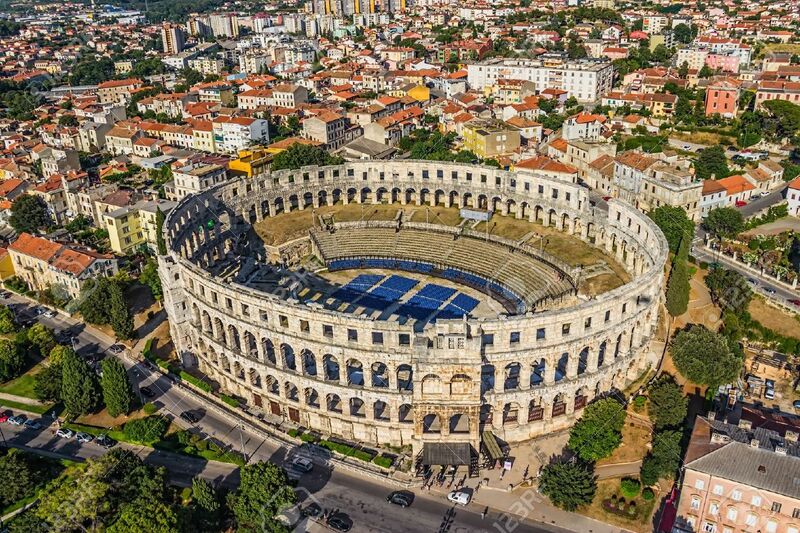 Pula, a city overlooking the sea at the tip of Croatian Istria, is known for its sheltered harbor, beaches and Roman ruins. Populated already in prehistoric times, it is in a strategic position and for this it has been repeatedly occupied, destroyed and rebuilt. In particular, the administration of the city has passed into the hands of Romans, Ostrogoths, Venetians, and, during the Second World War, the Allied Forces.